It is an amazing feeling to get up every day knowing you have found the perfect career – one which is fulfilling both for you and for the clients you help. Linda Arvanitis has discovered that vocational sweet spot. Linda’s clients remark on how Linda makes buying or selling their property far less scary than they had imagined it to be. She has found ways to make the experience enjoyable when she puts them at ease with her deep knowledge of the market and her fun sense of humor. It is clear to clients that Linda loves what she does and she passes on that joy to everyone around her. Developing solid relationships is the key to Linda’s success and that of her clients. With her extensive database of eager buyers and sellers and her local market expertise, Linda has many tools to bring people together and broker the best possible transaction. Whether the property is large or small, nothing is more rewarding than knowing you have played a crucial role in bringing a client’s dream to fruition. 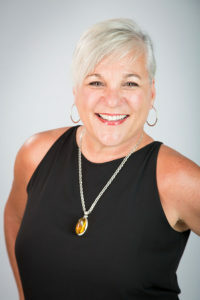 And as an elected leader in the Women’s Council of REALTORS® for the last several years, she gets a chance to network statewide with others in her profession, enabling her to keep up with cutting edge technologies and marketing strategies used by successful and committed REALTORS® throughout Florida. In addition, this organization helps Linda keep a pulse on her community as well as develop her own level of education and professionalism. Working with the WCR is so gratifying that she welcomes the opportunity to do so during her free time. Linda views her community links both with the REALTOR® associations and her leadership and charitable work with the local Pan-Hellenic Society of Ocala, as well as her time donated to local charitable events and fundraisers, as her major contribution to her team. Her outreach efforts add a dimension to her real estate team which has proven invaluable. Linda Arvanitis adores cooking and having friends over. She gets excited when it is time to hit the beach, hit the road, or just kick back on the front porch with her Boston Terrier, Buck. But nothing quite compares with the satisfaction of putting all her knowledge, networking and skills to work on brokering the perfect deal for a client. Let Linda bring you that bliss with your next foray in the world of real estate.